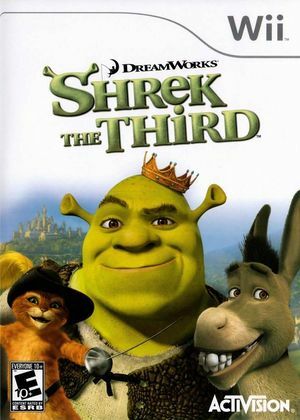 When the King falls ill, it’s up to Shrek to find the true heir and save Far Far Away in Shrek the Third. Journey with Shrek, Donkey, and Puss-in-Boots on this all new twisted fairy tale adventure. Along the way, meet new friends, conquer bold enemies, and visit never before seen lands from the movie and visit never before seen lands from the movie and beyond. Defend the kingdom of Far, Far Away against Prince Charming and his bumbling band of fairytale friends. Travel through the epic Shrek universe in peril-filled levels like the Academy Grounds, Evil Queen's Castle, Pirate Ship and more. Puzzle and Platform challenges, including 3 Princess levels (players play as Fiona and Sleeping Beauty). Each Character has their own special ability - Use Shrek's Ogre Power, Fiona's Flying Kicks, Puss n' Boots' Cute Puss and more -- you'll need them all to get back home to Far, Far Away. The graph below charts the compatibility with Shrek the Third since Dolphin's 2.0 release, listing revisions only where a compatibility change occurred.